There are massive implications at the top of the Ohio Valley Conference for both the Governors (18-0, 6-0 OVC) and the Racers (12-7, 6-1 OVC). A win for the Governors would eliminate the Racers from contention for the OVC Regular Season title. Additionally, if successful against the Racers, the Govs will know on Friday afternoon if they have won the OVC crown depending on the result of Belmont and Jacksonville State. A Jacksonville State win would give Austin Peay the title, while a Belmont win would mean the Govs would take on the Bruins in a winner-take all match for the title and No. 1 seed in the OVC Tournament. The Govs wrapped up another perfect weekend to stay as only one of two unbeaten teams in the country, along with No. 2 Georgia. Eastern Illinois and SIU Edwardsville were the two lucky contestants to take on APSU last week, both falling by 7-0 scorelines. Claudia Yanes Garcia and Lidia Yanes Garcia won their ninth doubles match in a row against SIUE, now second in program history and only behind the active streak of 11 matches that belongs to teammates Honoka Nakanishi and Tatiana Lopez. In singles, Helena Kuppig continued her march toward the record books, extending her singles win streak to 14. Kuppig’s streak has tied teammate Claudia Yanes Garcia’s and former standout Caroline Weikard’s streaks of 14 for fourth all-time in program history. She chases Lidia Yanes Garcia’s streak of 16 straight last season and Vanja Tomic’s streaks of 17 and 20. The Murray State Racers, who were picked to tie for first alongside the Govs in the OVC Preseason Poll, have only experienced one blemish on their OVC record, a narrow 4-3 loss at Jacksonville State. The Racers also dropped non-conference matches against Middle Tennessee, Kennesaw State, and Central Arkansas, all teams the Govs have defeated this season. The Racers are currently on a four-match win streak and are 6-1 at home this season. The Govs have not won in Murray since the 2010-11 season. Since that win, the Govs are only 3-6 against the Racers, but are 2-0 in OVC Tournament play. Last season, after the Racers won 5-2 in Clarksville in the regular season, the Govs defeated the Racers in the OVC Semifinals, 4-1. Claudia Yanes Garcia and Fabienne Schmidt teamed for a win at No. 1 doubles before each player won their singles match. Murray State will provide live stats for the match. 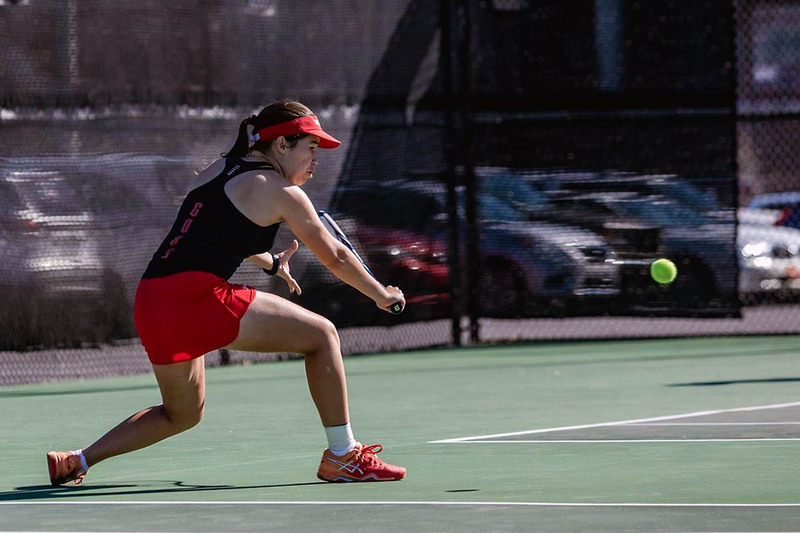 Make sure to follow @AustinPeayWTN on Twitter for all the latest news and updates.